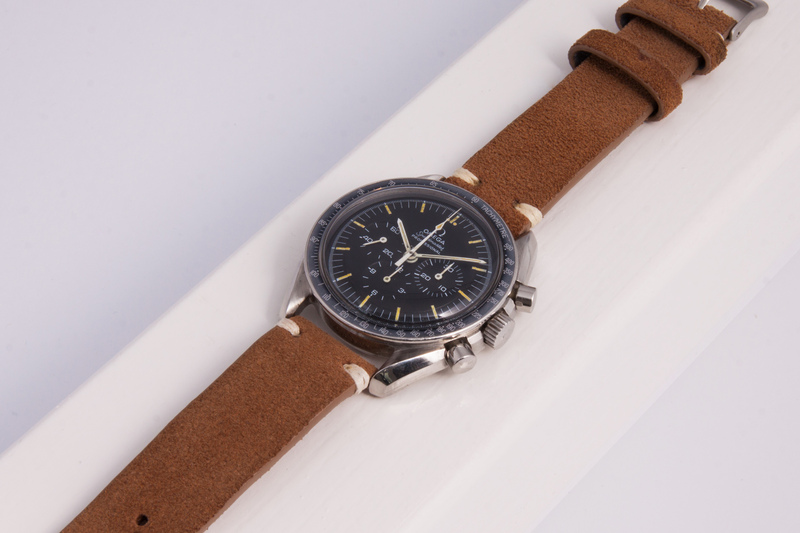 Very attractive vintage Omega Speedmaster with model number 145.022-69 The wonderful dial has a warm yellowish patina on the hour-markers and the lacquer on the dial changed to a darker shade of grey, it almost has a blue like hue in certain light conditions, very cool! The hands are still the original tritium ones and are a bit off-white, again with a nice yellowish patina. This ’69 Speedy has the correct stepped dial and short hourmarkers which are right for this model and year of production. The ‘ghost’ inlay gives this Speedmaster that extra flair to set it apart from the other ones out there! The grey/blue-ish inlay is in an excellent condition and doesn’t show any chipped bits. 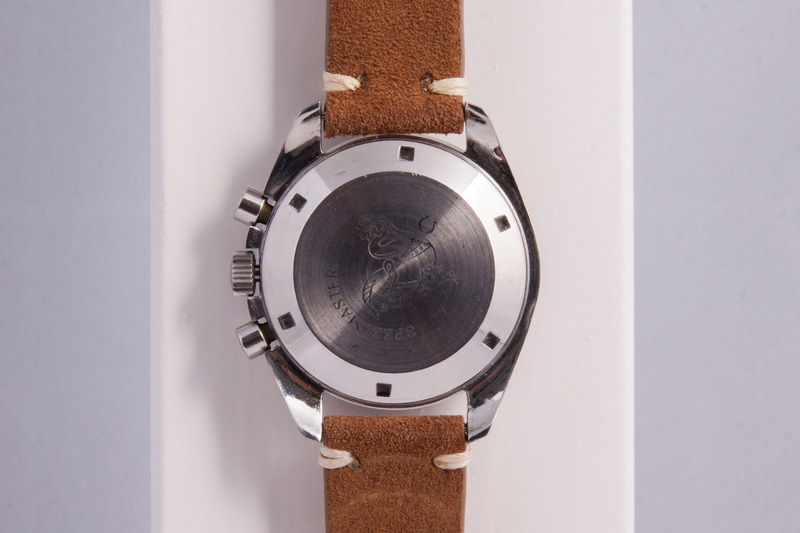 Unfortunately the original steel bracelet was no longer with the watch so we fitted it with a nice vintage suede band that matches the patina on the watch. 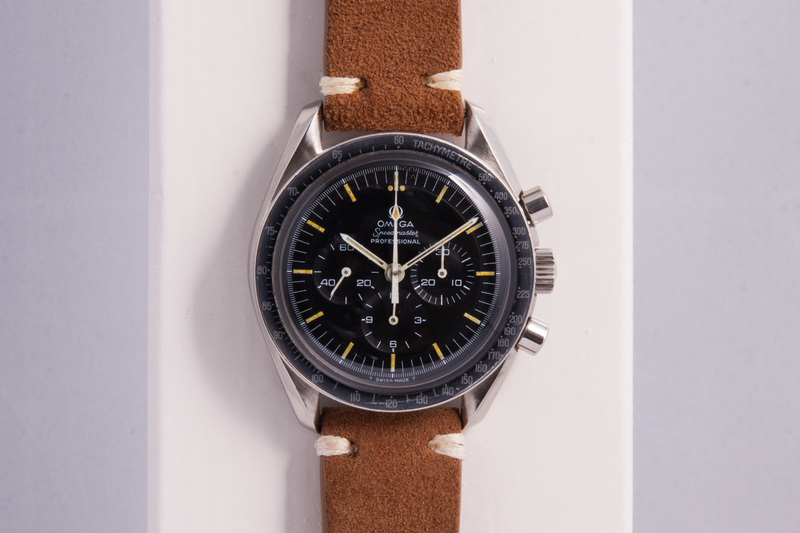 The so-called ‘smooth’ case-back is in a wonderful unpolished condition, the Hippocampus engraving as well as the word Speedmaster are still very sharp and clearly visible. The case itself with it’s curved lugs is in a very good condition, apart from a very small dent on the left side of the center-case, there are no major signs of wear or damage. 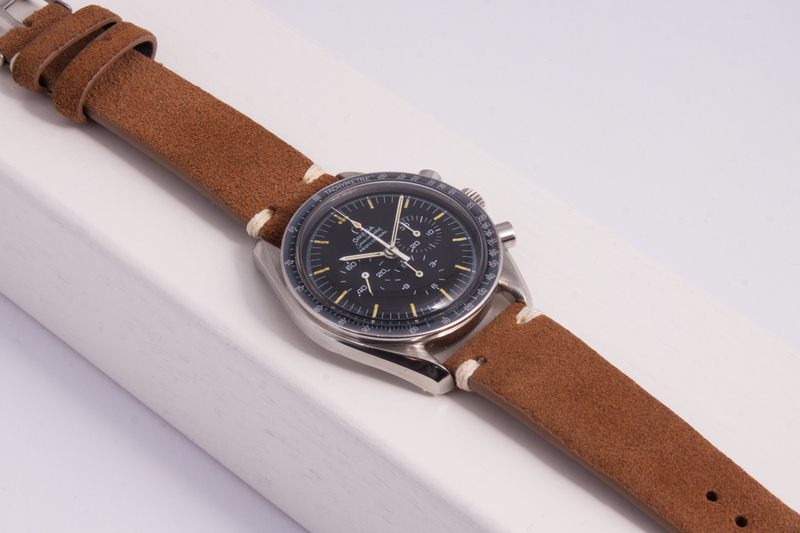 The extract from the Omega archives mentions that the watch was delivered to the Netherlands in 1970. A nice detail for Dutch Speedmaster collectors! The movement is completely overhauled by our watchmaker and there’s a one year warranty on this ghostly Speedmaster. box and papers? No box, but the watch is accompanied by the Extract from the Omega archives.